Pre-order Shinedown’s highly anticipated 6th studio album, ATTENTION ATTENTION today, to receive instant downloads of “DEVIL” and "THE HUMAN RADIO"! 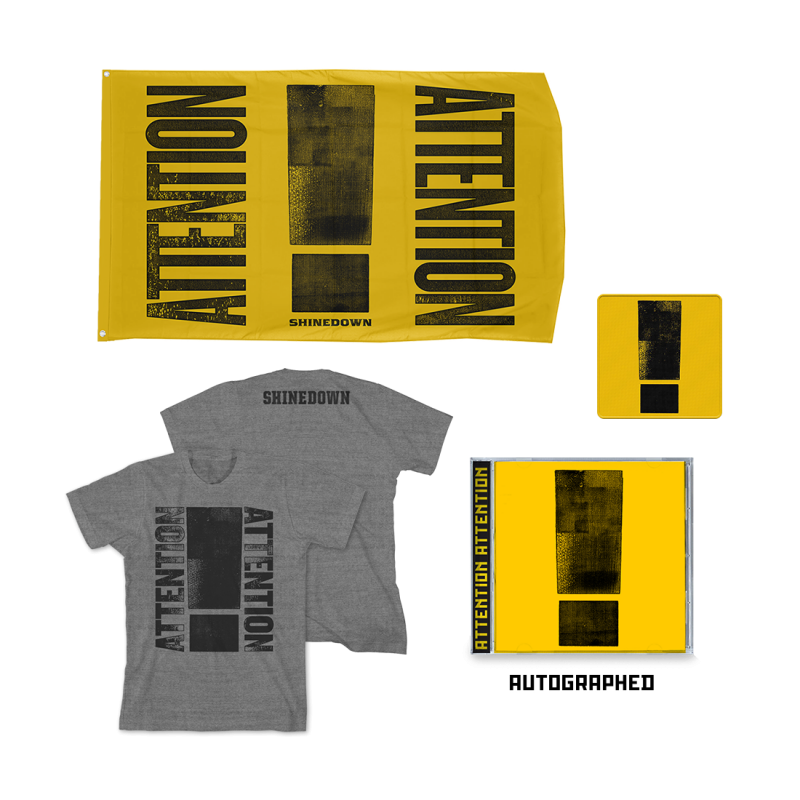 The Ultimate CD Bundle includes the new album on CD, along with the ATTENTION ATTENTION t-shirt, 3ft x 5ft flag, and patch. The first 500 Ultimate Bundle purchasers will receive an autographed CD booklet, while supplies last! The heather gray soft 100% cotton blend tee features a design inspired by the album artwork. On the front is "Attention Attention”, and on the back is a hit of the band name. Perfect to hang up on your wall or post up on a flagpole, the ATTENTION ATTENTION flag measures 3 feet by 5 feet and featured a design inspired by the bold album artwork. The 4" patch also features a design of the album cover, that you can attach to your favorite jacket or bag to rep Shinedown on the go.